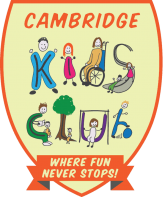 You can make payments to Cambridge Kids Club directly via a regular standing order or a bank transfer. Please email us asking for account details. Please include your child reference to help us identify your account. Your child reference is name up of "SL" for St Luke's, or "QE" for Queen Edith's, or "ME" for Meridian followed by the child name. E.g. "QE:Paul Smith", if you child (Paul Smith) attends Queen Ediths. We can accept debit and credit card payments, however this will insur 4% banking charge. Please call 07983 122 366 to make payment via credit / debit card. Childcare Vouchers is a tax efficient method of paying for childcare. As Cambridge Kids Club is Ofsted registered we can accept childcare vouchers. Please include your child reference to help us identify your account. Please can I ask you to use virtual vouchers, as opposed to paper vouchers as this is more efficient for us. Saying this we can still accept paper vouchers. Please get in touch if you have another voucher company we are not currently registered with. Please make cheques payable to Cambridge Kidsclub Ltd and include your child reference to help us identify your account. Cheques can be sent to Cambridge Kids Club Ltd, St Luke’s Primary School, French’s Road, Cambridge, CB4 3JZ or handed in at the club. We can accept cash, at the club or office however prefer other method of payment simply as cash can be lost at a busy setting and there is no audit trail. Please remember to get a receipt when making cash payment.